Case Cocobolo Alamo Bowie Knife | BUDK.com - Knives & Swords At The Lowest Prices! 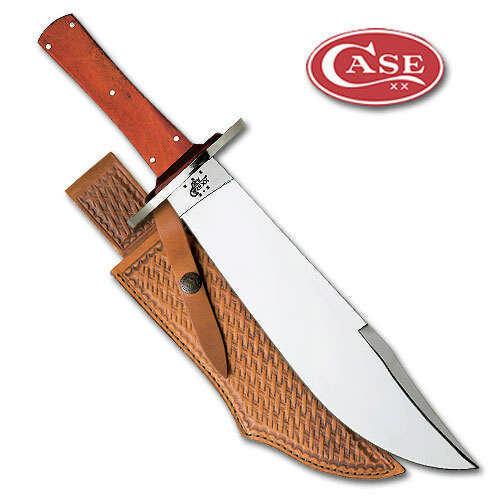 The Case Alamo Bowie Knife is equipped with a 9 1/2" bowie blade made of stainless steel. The blade has a mirror polish finish and top swedge. The Case Alamo Bowie Knife has full tang construction, with Cocobolo handle scales, and a nickel silver cross guard. A genuine leather sheath is included with this Case knife. The Case Alamo Bowie Knife weighs 50 ounces.